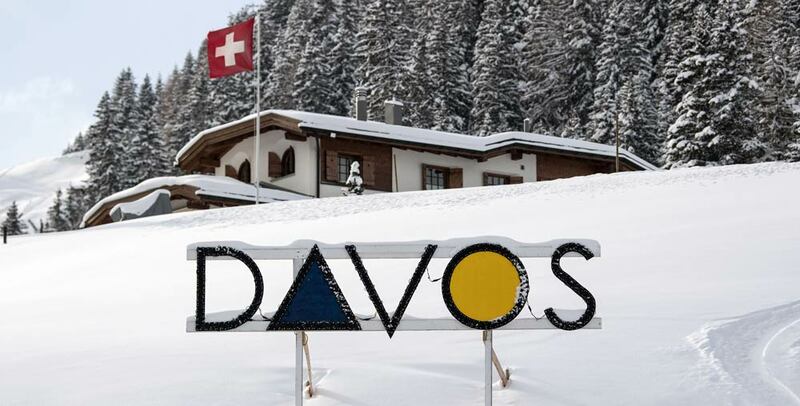 The interference of drones in daily life is becoming a huge concern for governments around the world.In anticipation of protests and increased activity, the police in Davos, Switzerland are taking preventative measures.Police in Davos, Switzerland were spotted using machine-gun like anti-drone technology ahead of the famous economic forum of the same name. 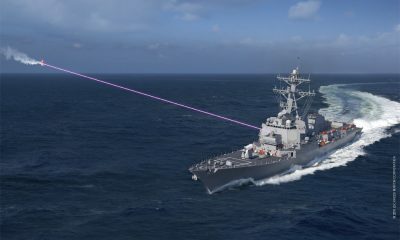 The anti-drone technology is being used to head off a potential use of UAVs to surveil, photograph, or, in a worst case scenario, even launch an attack on the luminaries gathered for the oft protested summit. H.P. Marketing & Consulting Wüst, makers of the drone jammers, have sold equipment to military and police forces around the world for 30 years and were on hand to help the police test the technology. 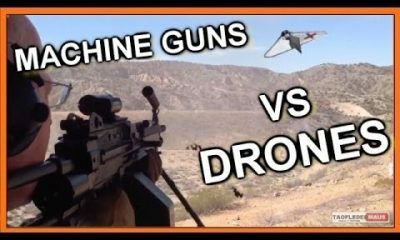 The market demand for specifically anti-drone devices has risen as UAVs have exploded in popularity over the past several years.One of the major uses of the jamming technology is in guarding against a potential terrorist attack and for that reason the devices have seen a lot of success in the Middle East region. While the jammers look like automatic weapons their functionality is quite different. Most block the drone’s ability to receive signals. 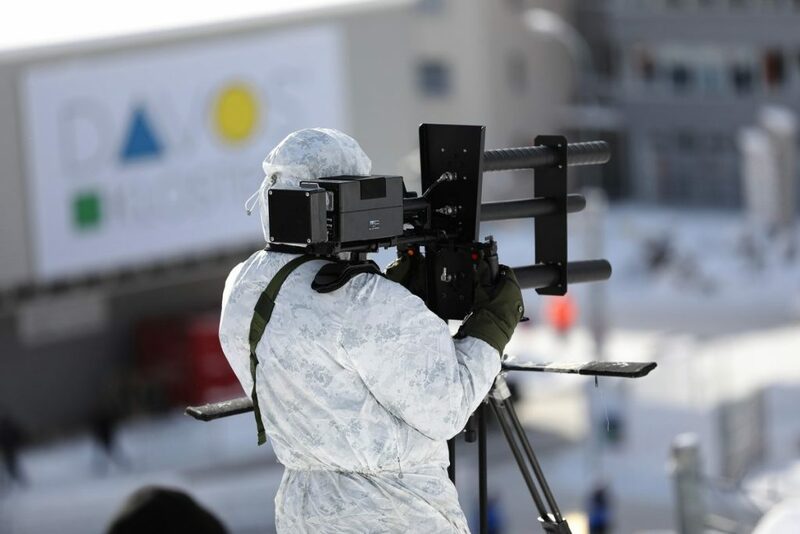 Davos deployed the HP 47 Counter UAV Jammer which last saw action during Barack Obama’s visit to Berlin, Germany last year.